The world’s best airline, Singapore Airlines will be effecting a significant change in its scheduled operations at Mumbai starting from the Winter 2011 schedule which goes in to effect on October 30th. The carrier is also strengthening the operations of its regional subsidiary SilkAir across India. Currently the carrier operates double daily flights between the financial capital of India and the island nation. A Boeing 777-200 flight with 36 business and 228 economy class seats in the morning, and a Boeing 777-300ER with 8 first, 42 business, and 228 economy class seats on an overnight flight. In the winter schedule the airline is increasing the Singapore Mumbai flights from 14 to 17 a week. It’s reducing the morning SQ421 777-200 flights from a daily to three per week which will operate Mondays, Saturdays and Sundays, departing Singapore at 02:30 and arriving Mumbai at 05:30. On the return departing Mumbai at 07:30 and arriving Singapore at 15:25. This morning service appears to be designed for the IT industry passengers to connect to the Singpore – North American west coast services which arrive in to Singapore a little after midnight and depart Singapore around 17:00 in the evening. The airline will continue its daily SQ423 Boeing 777-300ER service which departs Singapore at 19:55 and arrives Mumbai at 22:50. On the return leaving Mumbai just after midnight and arrives Singapore at 08:00. The carrier is adding a new daily service SQ425 which will operate using the 36/228 Boeing 777-200, departing Singapore at 18:10 arriving Mumbai 21:05. On the return leaving Mumbai 22:20 arriving Singapore the next morning at 06:15. This, in our opinion, is a brilliant move by the carrier. This earlier flight addresses a common complaint of many business travellers who want earlier arrivals in the respective cities to have a full business day. This flight also allows Singapore Airlines to give its Mumbai passengers quicker connections to ASEAN and near east destinations on early morning flights which depart Singapore before 8am. Singapore Airlines will increase its twice weekly (Tuesdays and Saturdays) flights to thrice weekly (Tuesday, Thursday, Sunday) using an Airbus A330-300 in a 30 business and 255 economy class configuration. The carrier continues its daily overnight Boeing 777-200 service. From earlier this month, the regional subsidiary of Singapore Airlines, SilkAir has increased its four a week mid-day flights to five a week. Three flights are operated thrice a week (Thursday~ Saturday) with an Airbus A320 (12/138 config) and twice a week (Mondays and Wednesdays) with an Airbus A319 (8/120 or 12/106 config). In bound the flight departs Singapore 13:10 arrives Bangalore 15:00 and returns leaving Bangalore 15:50 and arrives Singapore at 22:55. The timings of the SilkAir flight limits connections beyond Singapore to only North Asia and Australia-New Zealand, and the carrier is reporting good passenger load factors. Keeping in mind that Bangalore is the IT capital of India with significant traffic to the US West Coast, the airline management should consider changing the schedule to position this flight as a day flight to connect to those US West Coast flights which arrive in to Singapore between 01:30 and 03:30 and depart around 17:00 in the evening. A possible schedule will be departing Singapore 06:00 arriving Bangalore 08:00 departing Bangalore 09:00 arriving Singapore 16:00. This will also given the flight connections in to ASEAN and near east destinations. Singapore Airlines continues its double daily to New Delhi using a Boeing 777-200 in the morning and a Boeing 777-300 for the overnight flight in a 8 first 50 business and 226 economy class confguration. Kolkata is operated thrice a week with an Airbus A330-300, Chennai is operated daily with a Boeing 777-200. Singapore Airlines is using its regional subsidiary SilkAir aggressively in India. 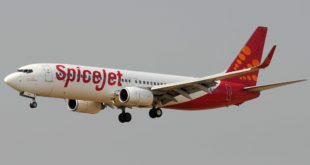 The carrier operates daily flights to Hyderabad and Kochi, six a week to Chennai, five a week to Bangalore, four a week to Kolkata, and three a week each to Coimbatore and Trivandram (Thiruvanathapuram). Thanks to usage of narrow-body Airbus A320 and A319 aircraft, SilkAir is perceived as a low cost carrier, despite being a full service carrier with, many a time, fares higher than its parent, Singapore Airlines. The carrier’s Boeing 777-300ER is widely considered as having the most luxurious cabin product in the world, with only four abreast seating in business class and economy class seats with a 19 inch width and 32 inch pitch, along with a state of the art audio-video on demand (AVOD) in-flight entertainment (IFE) system. Next in comfort is the new Airbus A330 fleet which features an industry leading 18.6 inch seat width and 32 inch seat pitch with full iPod support in economy class, and a luxurious business class featuring the inclined lay-flat SpaceBed seats in a 2-2-2 abreast configuration. (Click for images of both classes). 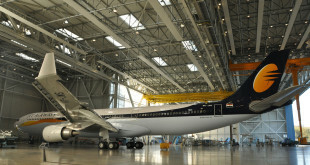 The Boeing 777-200 and 777-300 have been given a retrofit. The business class is similar to the business class in the A330s, but the economy class seat is 17.9 inches width with a 32 inch pitch in a 9 abreast 3-3-3 configuration. It is better than the 10 abreast 17 inch width of Emirates but falls short of the 9 abreast 19 inch width in its own Boeing 777-300ERs as well as those of Qatar Airways.